SkinPen© – Maine Laser Clinic is proud to feature the first and only FDA cleared microneedling pen at our clinic. The SkinPen© is a revolutionary microneedling marvel. 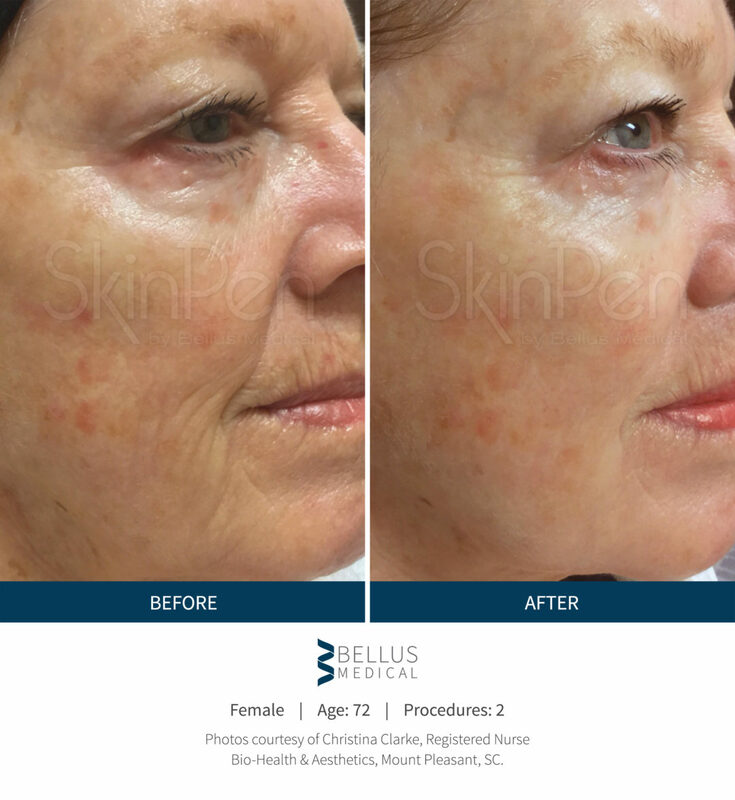 Bellus Medical©, the manufacturer of the SkinPen© is made right here in the U.S.
Why is the SkinPen© so good? All of the components of The SkinPen© were painstakingly researched tested. Each part is of the highest quality and designed to withstand hundreds of treatments…ensuring consistency unmatched in the industry. 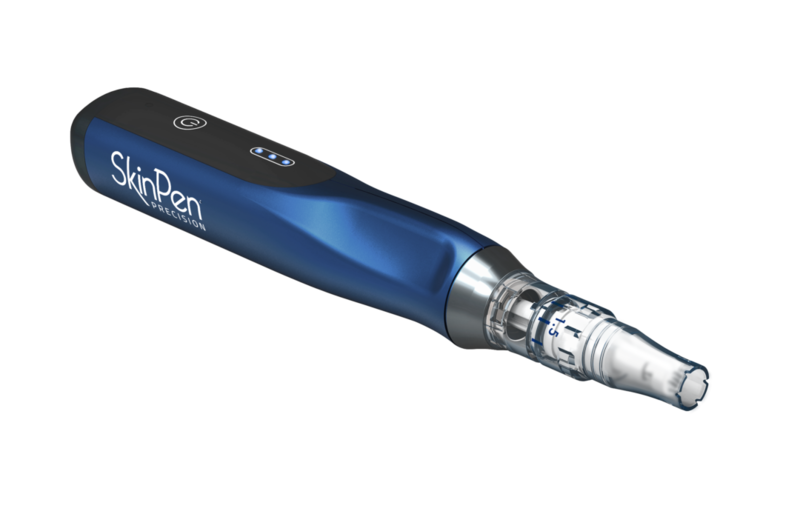 At 7,000 RPMs, the SkinPen© motors along with laser-like precision and ease. Why is technology important while performing a microneedling treatment? Ease of use is critical to clinical endpoints. The more accurate an instrument performs, the better results the client will receive. Ergonomics matter. Comfort and control allow the practitioner to better perform…resulting in less drag to the skin, minimizing trauma and excessive tearing to the skin. The SkinPen© design is cordless, so there is no cord to get caught, reducing the risk of bloodborne pathogens and other contamination issues. Are there other safety features within the SkinPen©? The SkinPen© provides a single-use cartridge, protecting the patient from cross-contamination. Other pens potential allow hazardous serum to enter the chamber, The unique design of the SkinPen© prevents any fluids from entering the device or pen. There are 14 stainless steel medical grade pins/needles. This design feature provides continual 1600 micro-channels openings for deeper product penetration. There’s also a bio-sheath that was specially designed to protect clients and the clinician from cross-contamination. Maine Laser Clinic providers are certified in the following: Blood-borne pathogens, medical microneedling, Environ Stockist, and the first in Maine to implement Environ sterilization in every medical microneedling treatment. We’re also the first in the state to offer medical microneedling, utilizing the protocols from the pioneer of microneedling, Dr. Des Fernandes.